I Introduce The Columbia Coalition of Reason! 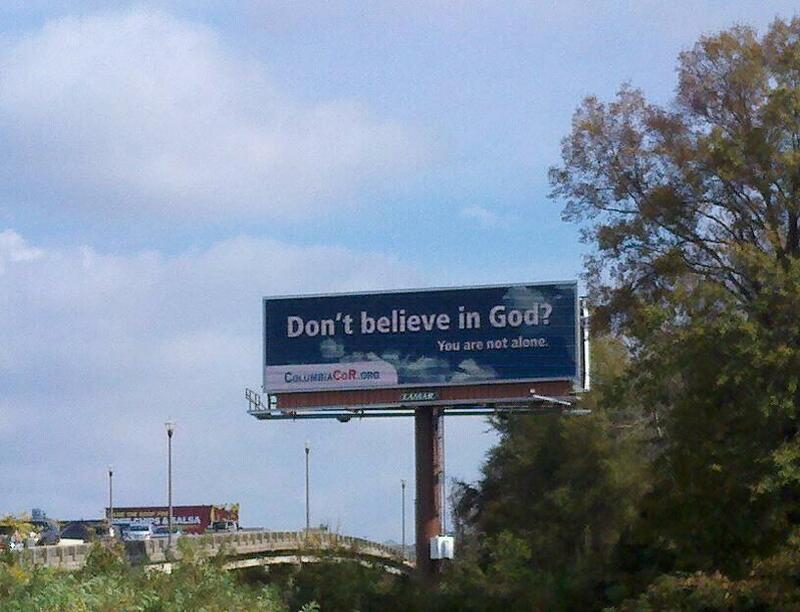 That’s right, Columbia SOUTH CAROLINA has TWO atheist billboards up in town! The billboards will be up through Thanksgiving, for the Carolina-Clemson football game, and into the month of December. Proud of little ol’ red Columbia, well done. Posted on November 21, 2011, in atheism and tagged atheism, atheist, billboards, coalition of reason, freethought society of the midlands, pastafarians. Bookmark the permalink. 4 Comments. Where are they? that looks like the Blossom Street bridge into USC. ?? Uzza: That is correct. The other is on I-20 westbound just past Monticello Rd. according to the press release and the e-mail I got today. Hi to every one, it’s actually a fastidious for me to visit this website, it includes important Information.